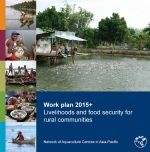 The recordings in this collection are the annual progress reports of NACA’s regional lead centres in India, Thailand, China and the Philippines, plus a summary of NACA’s progress over the past five years and a special address by Professor E.G. Silas. The presentations were made at the 22nd NACA Governing Council Meeting in Cochi, Kerala, from 9-11 May 2011, India. The conference was organised by FAO, the Thai Department of Fisheries and NACA and held in the Mövenpick Resort and Spa, Phuket, Thailand, 22-25 September. 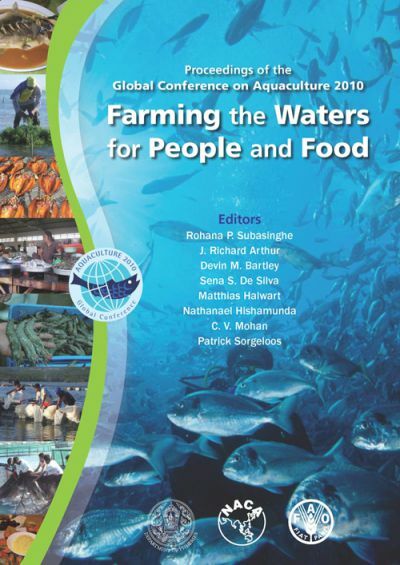 The conference was the third in a series of aquaculture development conferences, following on from the Conference on Aquaculture in the Third Millennium held in Bangkok 2000, and the FAO Technical Conference on Aquaculture, held in Kyoto 1976. Over the past few decades inland fisheries resources have come under increasing pressure from water engineering projects, pollution and overfishing. FAO and NACA convened an expert workshop to review inland fisheries resource enhancement and conservation practices in Pattaya, Thailand, 8-11 February. Experts from 10 Asian countries attended the meeting to share experiences and lessons learned. Regional collaborative efforts are required to facilitate assessment of current inland fisheries resource enhancement and conservation practices.